Blogger has initiated a stream of updating new widgets in their gadget inventory. Google has been on an interminable process of optimizing blogger from time to time. As the interface of the blogger was changed, the new additional features for SEO and webmasters were introduced. Since then blogger keeps on building up the stack of blogger gadgets with new additional widgets and features. 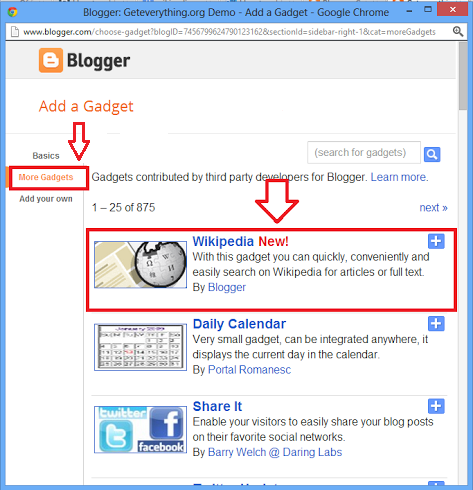 Recently, as you might have noticed already, blogger added the Wikipedia search box widget in their gadget gallery, which will give you the ability search Wikipedia from within your site. 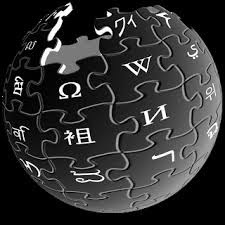 As Wikipedia is the largest encyclopedia in the world, installing the widget can help you get through the search more conveniently. How To Add It To Your Blogger? Its a straight-forward process. 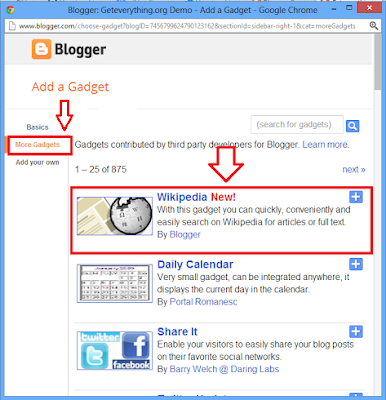 Simply follow the steps mentioned below to successfully add the new Wikipedia search box widget in your blogger 2013.
yep # 3: Find and choose the wikipedia widget from the list shown in the pop-up screen. Step # 4: After you're done with adding the widget, just click on Save to complete the process. Try making a search in your newly added wikipedia search box tool. You will notice that the search gives a complete list and provides list of all search results that might be related to your query. How to Write Affiliate Product Reviews That Make Money?